The world is getting Mobile! 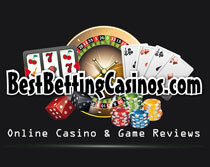 A few years ago people made the step from real casinos to online gambling and gaming. For some people this is still a big step because not everybody thinks it is secure and safe to play online casino games. Now we are at the start of a new era in online gambling. Online casinos are starting to make their own Casino App. This means you only have to download an app from the Apple app store or Google Play to play your favourite casino games. With a casino App you can play whenever you and anywhere you want. For example you can play in the train to your work, when you are waiting at the doctor or just sitting at the couch. On Tabletcasinos.eu we will inform you about all new apps available in the different app stores. In october 2012 Roller casino was the first casino who introduced their own app for iPhone and iPad. In Roller Casino app you can play 19 high resolution casino games (for example; Roulette, Blackjack and poker). The App uses the tilt and swipe functions which are available on the Apple devices. Click here for more information about the casino App or to download the App.